100% Natural. Chemical Free. Paraben Free. Cruelty Free. 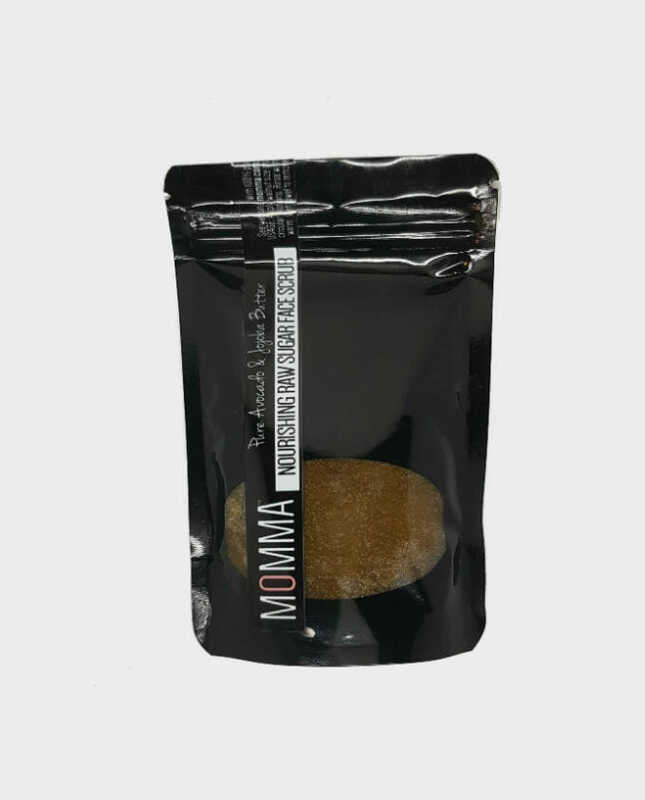 The fine brown sugar gently exfoliates dead skin cells and stimulate blood flow while the nutrient rich Avocado and Jojoba butter deeply moisturises and nourish your skin. Avocado oil is rich in antioxidants like vitamins A, D and E and omega 3 fatty acids to heal sun-damaged, dry and aged skin. Avocado oil also increases the production of collagen, which helps keep the skin plump and decreases the effects of aging. Jojoba oil is rich in Vitamin E and helps to clear impurities and heal the skin. Been out in the sun too much this summer? Prone to dry, flaky or problem skin? Mature skin? Your skin would love you with this rich Avocado Butter Nourishing Brown Sugar Face Scrub with added Jojoba Butter and pure essential oils. This creamy scrub is enriched with an uplifting blend of pure essential oils of Sweet Orange, Mandarin, Lavender, Rosemary and Cedarwood so you skin can feel completely fresh and well nourished after each scrubbing session! Feel and see the difference! You will fall in love with your new baby soft skin! Great on face and body. Use once a week. Walnut size is enough for the face. Gently exfoliate in circular motions for a minute and leave scrub on for 10 minutes. Use a warm wet towel to wipe off sugar gently, rinse with warm water and pat dry. The rich Avocado & Jojoba will leave a film of their natural oils to fully moisturise, nourish and replenish your skin overnight. Use a warm wet towel to remove excess if required before makeup application. I bought a set of different skincare products from Momma, and they are amazing! My skin looks clear and isn’t irritated, it feels smooth and clean. I feel good knowing that I am using products that are organic and cruelty free. Thank you so much!